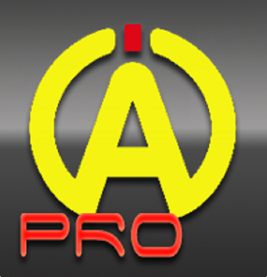 The latest in Alfano APP technology for the Tablet / iPads and Mobile phone users. 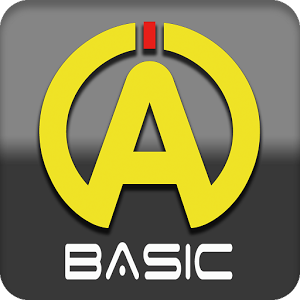 Click on the Google Play or the App Store logos to take you to the correct location to download your APP. 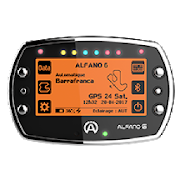 This is for the Alfano 6 for use on the Phone only. 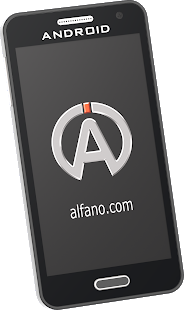 This is for the Alfano 6 for use on tablets only. It is not advisable to use on a phone. 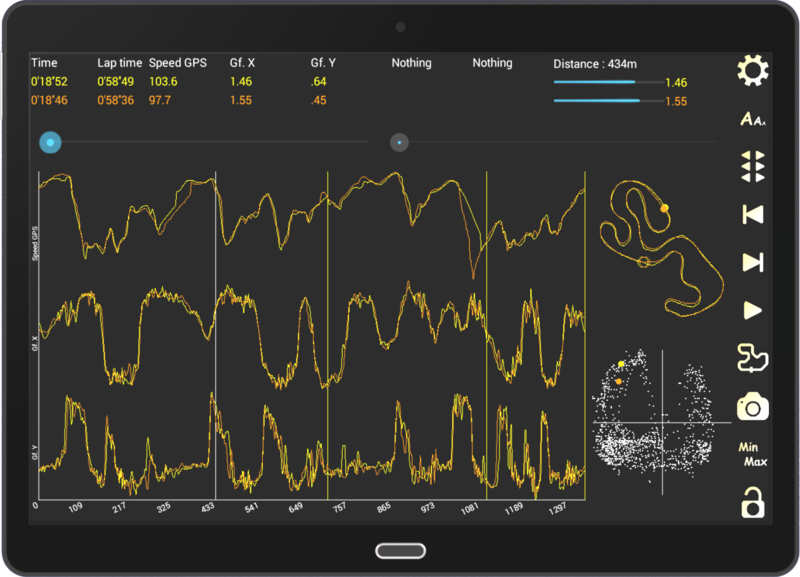 Allows very sharp and accurate analysis of your sessions with graphs, histograms and very advanced settings. 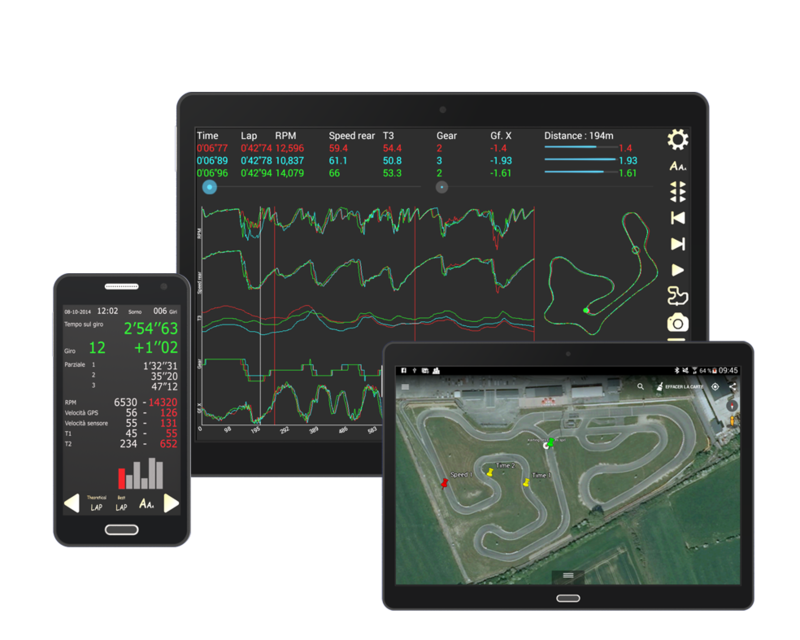 Compatible with the PROIIIevo, you can compare up to 3 laps of different sessions with all sample curves and values of your sensors. 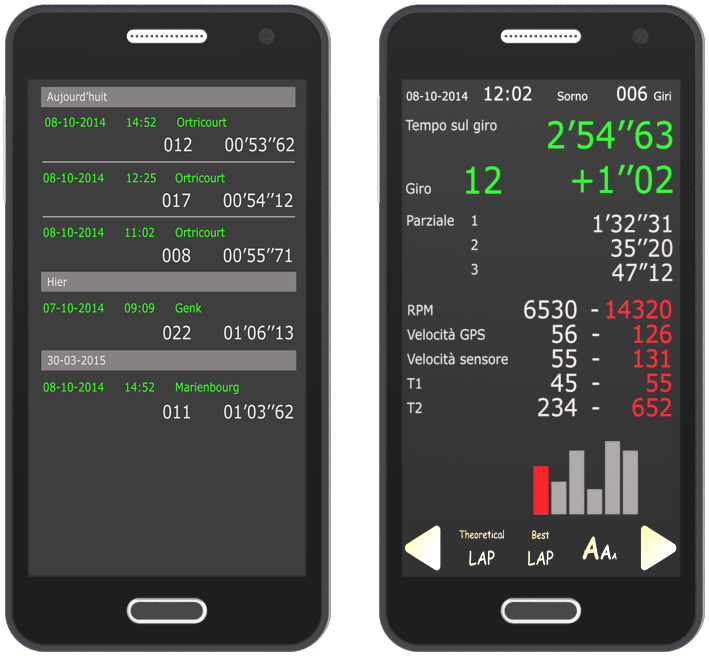 Optimized for Tablet and Android 4.0.0 minimum. 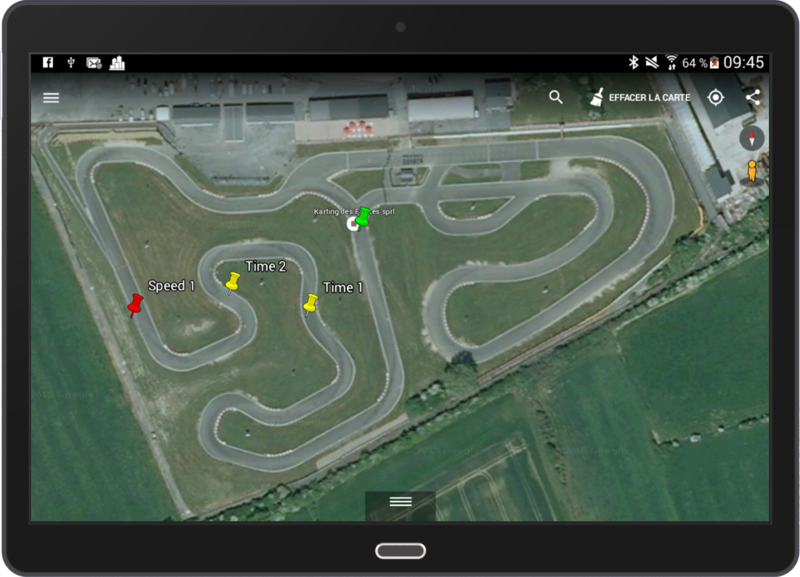 Plus lots more inc Googe Earth Lap Overlay. 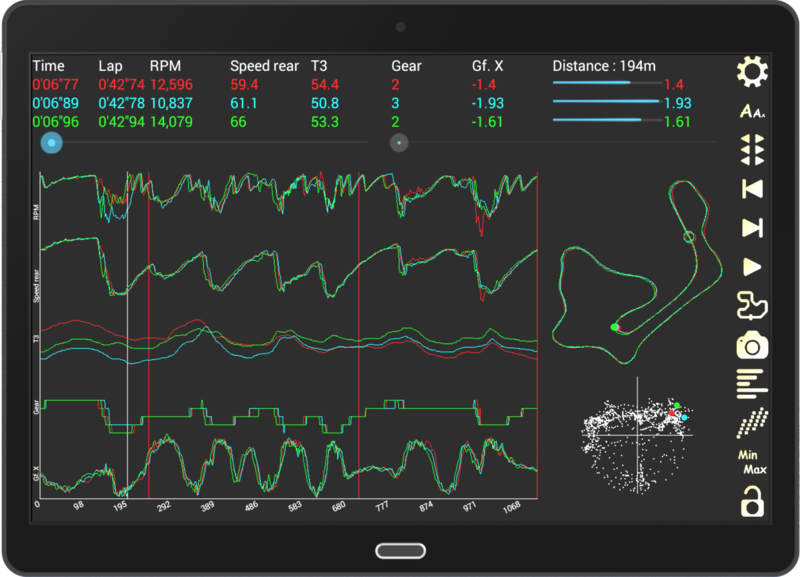 “APP PRO” allows very sharp and accurate analysis of your sessions with graphs, histograms and very advanced settings. 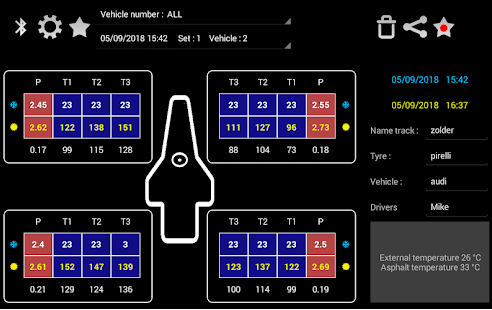 Compatible with the PROIIIevo, M4, M4GPS and M10, you can compare up to 3 laps of different sessions with all sample curves and values of your sensors. 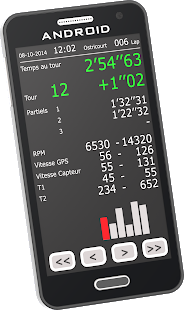 « APP ADSGPS » allows very sharp and accurate analysis of your sessions with graphs , histograms and very advanced settings. 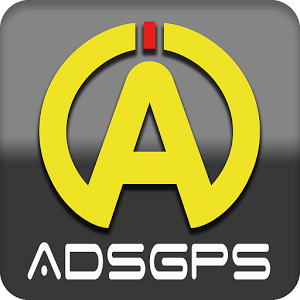 Made for the ADSGPS (Lap and Trial), you can compare up to 3 laps of different sessions. 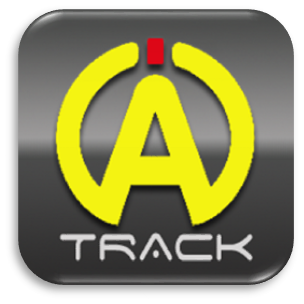 Create your own tracks with Google Map and send it directly to your ALFANO ! This APP allows you to update your ALFANO PROIII EVO via the Bluetooth of the GPS2 or GPS4 module. 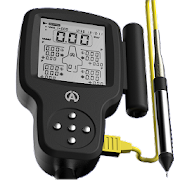 If updating to the new GPS1i, GPS4i or GPS4Vi device you will need to do a firmware update before adding this device. This can be done via USB cable or GPS2 or GPS4 module. 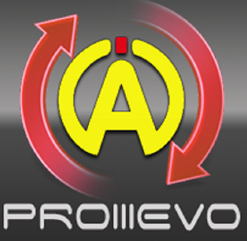 Contact the team if you are not sure. 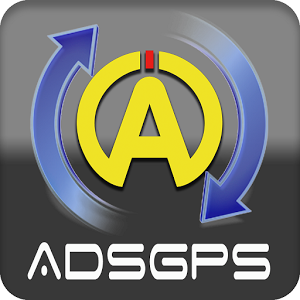 This APP allows you to update your ALFANO ADS GPS via the Bluetooth.